With a smile and a wink, the Marc Jacobs Daisy Dream Eau de Toilette invites you to a world of playful charm. The delightful fragrance is not of this world, presenting an airy new chapter in the story of Marc Jacob’s free-spirited Daisy. Daisy Dream plays its melody of fruity floral notes with a joyful feel, bright and playful but always sophisticated. 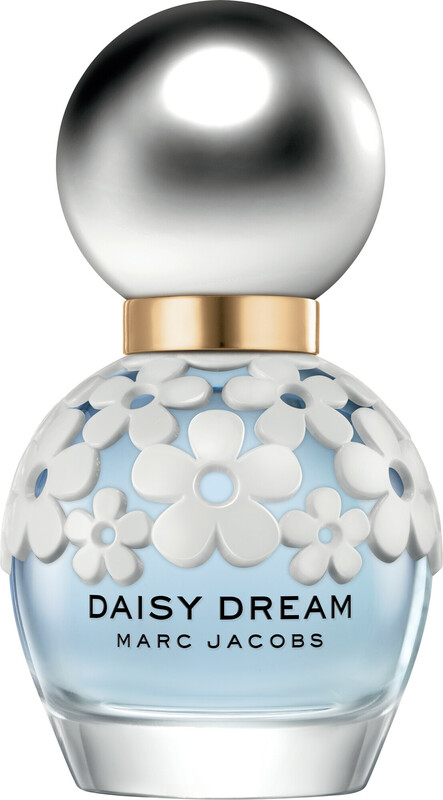 Daisy Dream opens with an irresistible blend of blackberry and pear, juicy and sweet. In the heart, a blue-tinted bouquet of wisteria and jasmine unfurls beautifully, before a dry down of tropical coconut water provides a touch of the unexpected. Marc Jacobs Daisy Dream Eau de Toilette Spray is rated 4.9 out of 5 by 20. Rated 5 out of 5 by shopaholic from My daughter loves this perfume!! I purchased this perfume for my daughters birthday, she loves Marc Jacobs!! arrived in good time and was packaged extremely well, plus the 20% discount was a bonus, would definitely buy again. Rated 5 out of 5 by Gill22 from Mar Jacobs Daisy This was purchased as a gift - has been used before and loves it - hence the purchase. Rated 5 out of 5 by HappyAnn from My new year present to myself Fell in love with the bottle before christmas and it is a really nice light and airy smell. Fruity and floral fragrance. Decided to wait till after christmas and bought it with the essential discount promotion and also used my pennies that I had been saving. All in all am really please looks fabulous on my dressing table tray that I got for christmas.